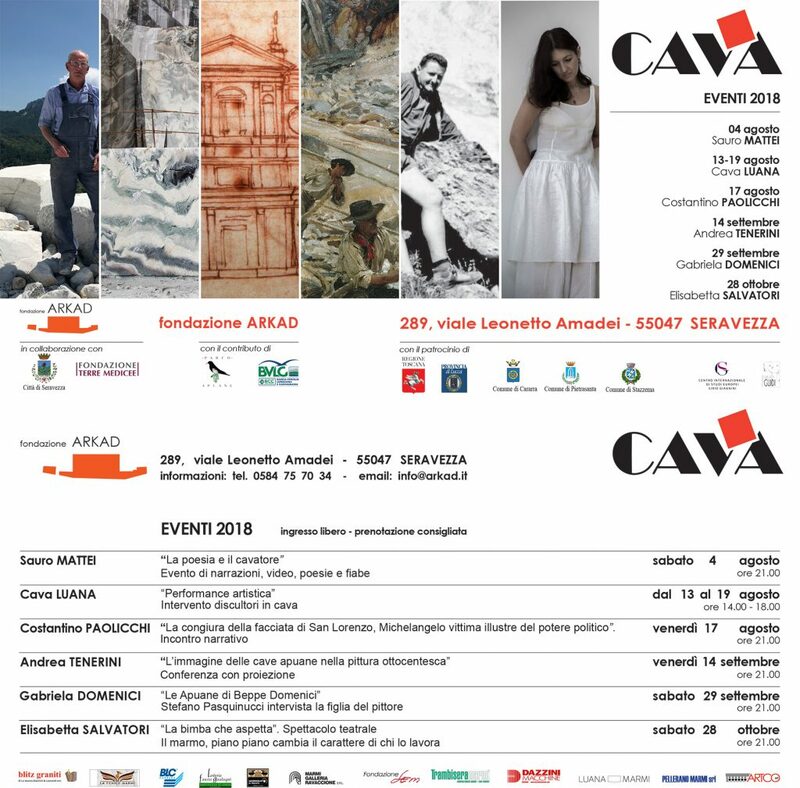 The Arkad Foundation, for years a promoter of artistic and cultural activities, presents the exhibition “CAVA”, which can be visited in its gallery from 28 July to 28 October 2018. 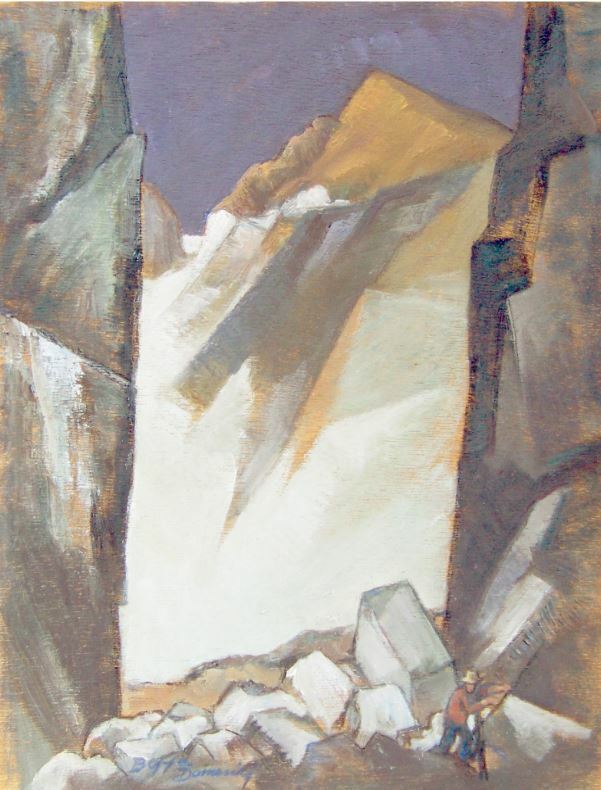 The theme of the exhibition is the marble quarry seen as a work of art, to be admired and protected, with the aim of enhancing and appreciating the indisputable artistic beauty and the fascination always emanating from the mountains of marble. This vision will be given by artists from different fields (photographers, sculptors, painters, video artists, architects, designers, etc.) who will present an interpretation of the quarry filtered by their gaze. September 29th the meeting dedicated to the discovery of the late artist and present in the exhibition Beppe Domenici .